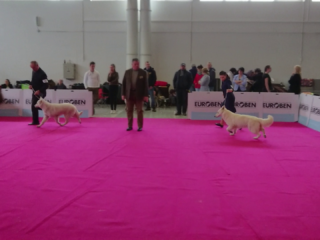 We could not miss the first three Slovak international shows – 3 during one weekend. 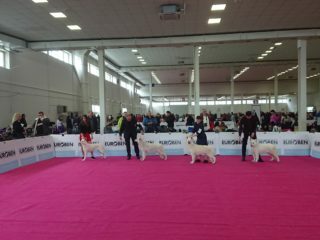 We were looking forward to the start of the new show season. 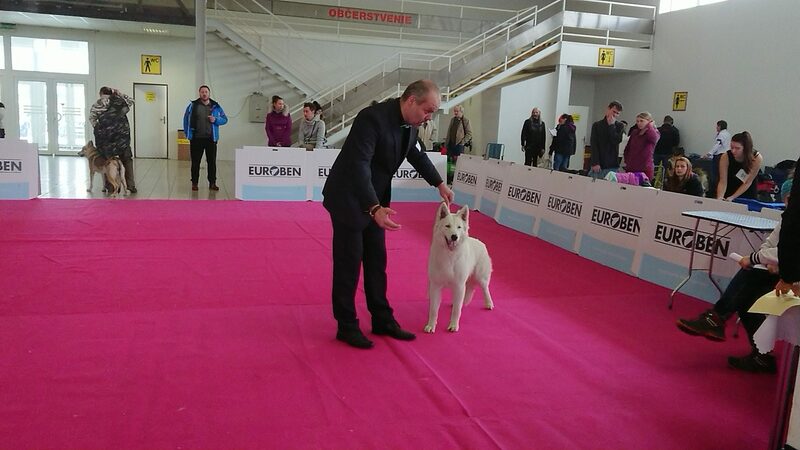 The last one turned out to be a very succesful one, when Diamond won the yearlong point collecting competition “Open Slovakia Dog Cup”. 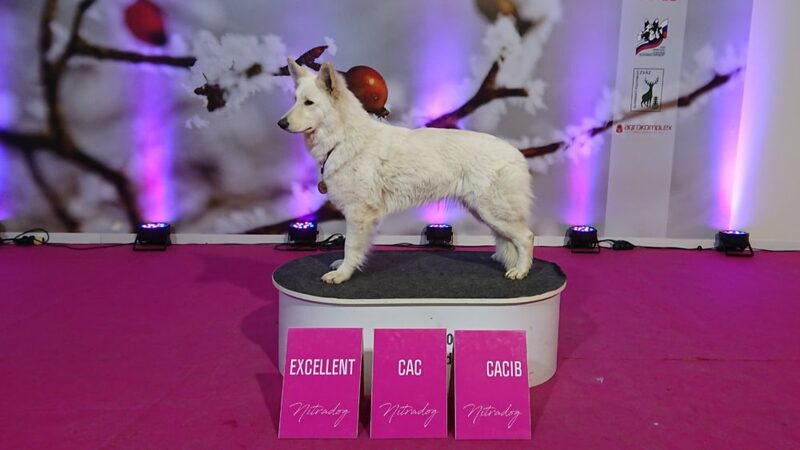 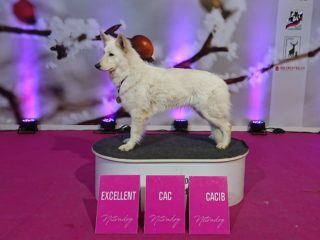 We hoped that she could gain the last 2 necessary CAC in the new season and finish her second adult championship… And it worked. 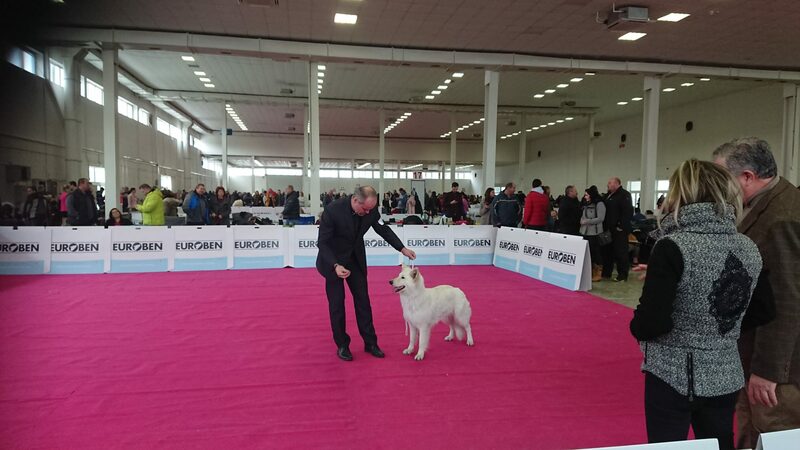 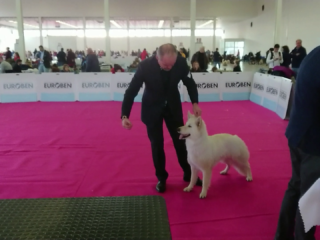 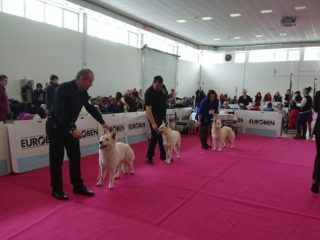 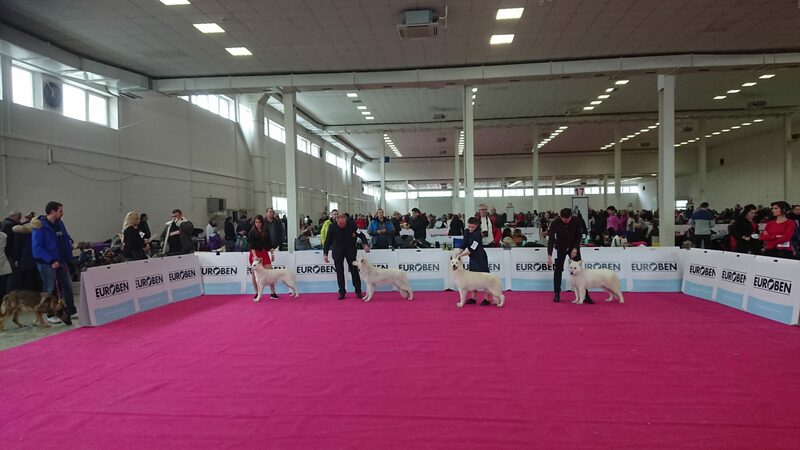 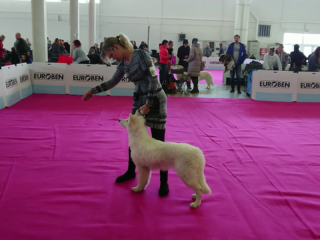 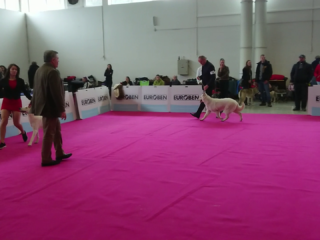 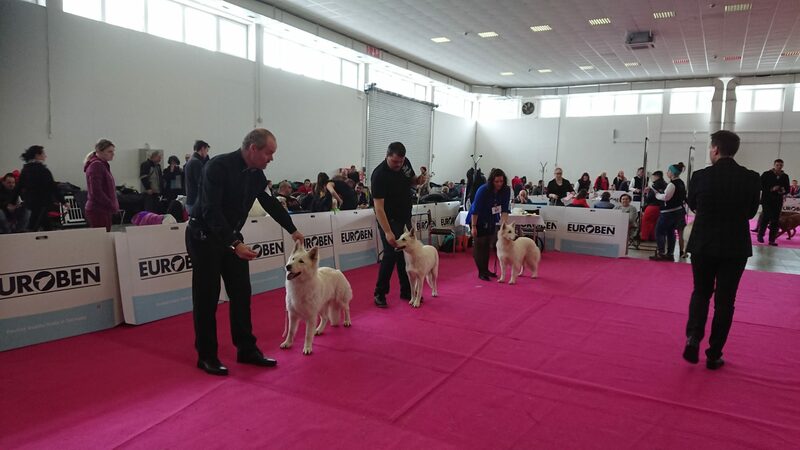 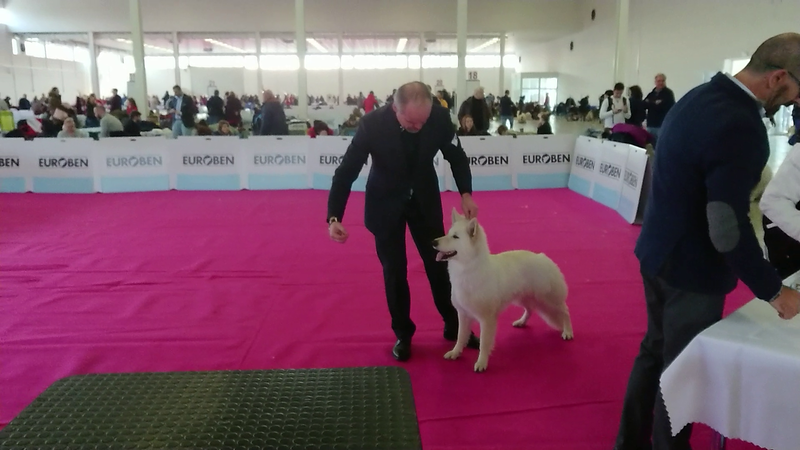 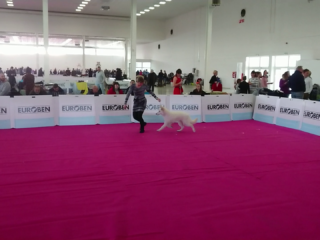 Right after the 2nd show day she became the Slovak Champion. 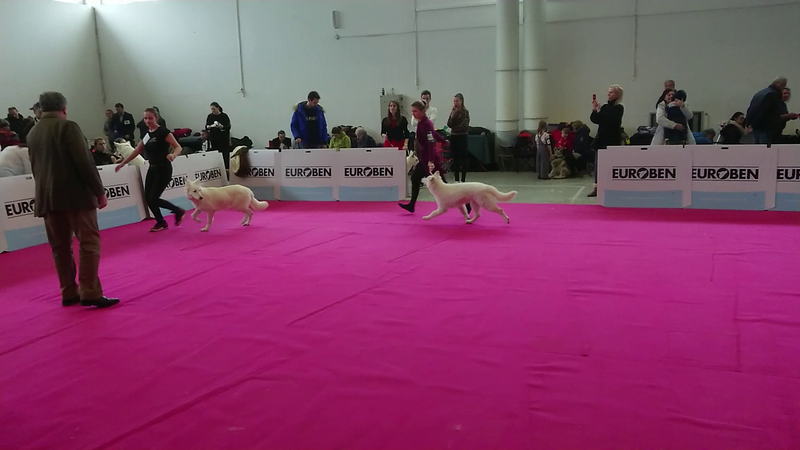 Frozen had tough competition in her class again this time (always 4-5 females in junior class). 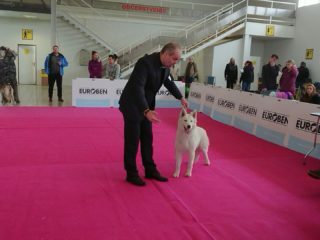 She still in her 10 months of age collects experience, so he 2nd-3rd place always with the rank excellent is quite a good result. 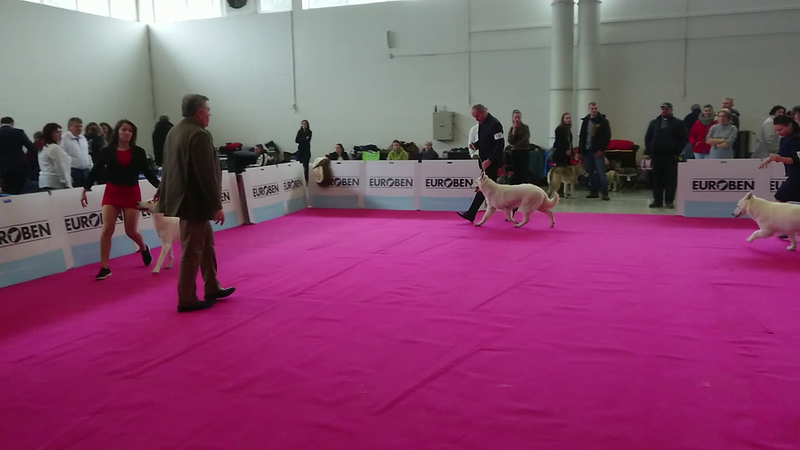 And our youngest Vendetta also shined in the ring, all 3 days she overruled her class. 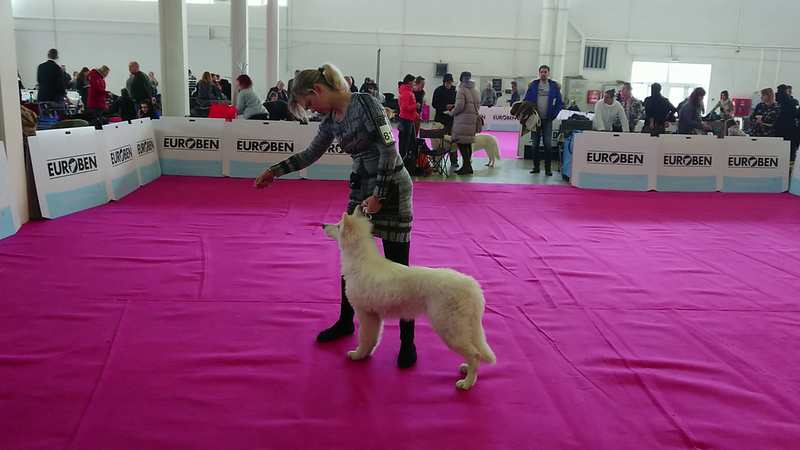 One day before the show, she turned 6 months, so this was her premierre in the puppy class. 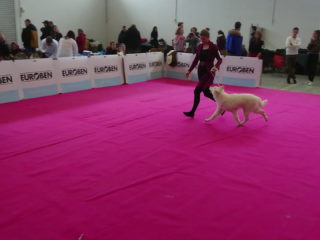 Of course she was always the youngest participant in the class. 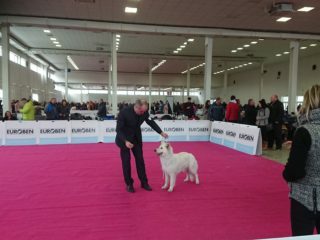 But despite this fact she managed to win and she fulfiled the conditions for thhe title Slovak Puppy Champion. 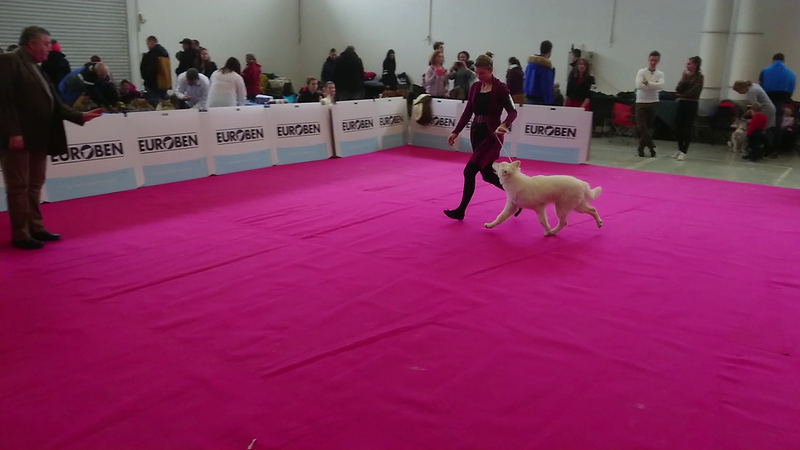 And there is one more unexpected little show success. 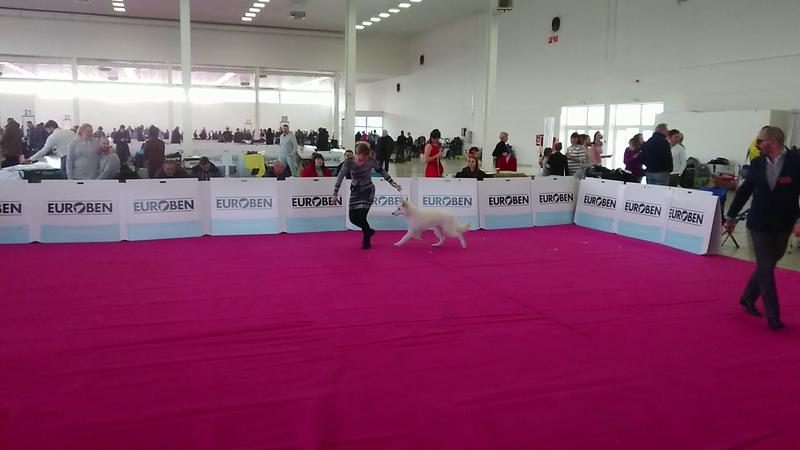 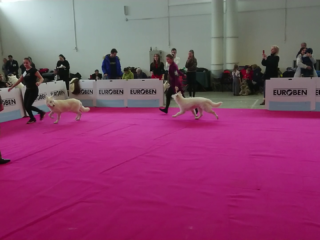 Our daughter Natalie (8) helped with the handling in the ring of another breed – Dansk-Svensk-Gardshund and with the borrowed junior she got BOB. 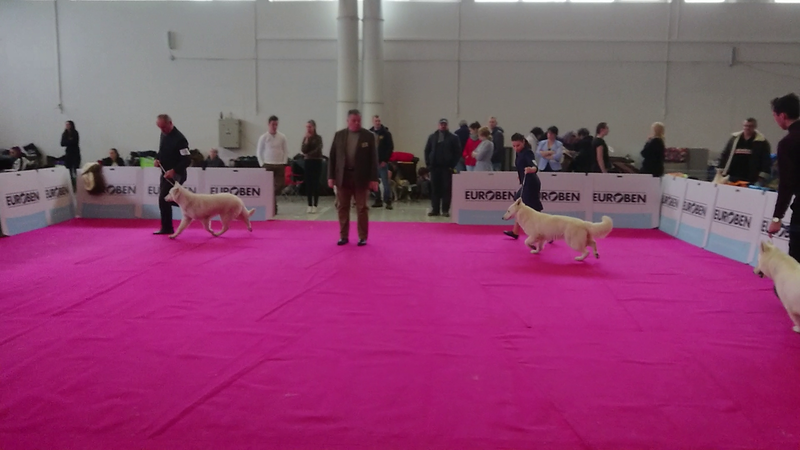 Many thanks to the judges for such nice judge reports for our females – Željko Lozić (RS) , Korózs András (HU), Igor Vyguzov (ME).